What are the top French songs from 2018? Whenever you look up French music, you’ll always find people mention the oldies. But how about the more current French songs that students actually want to hear? 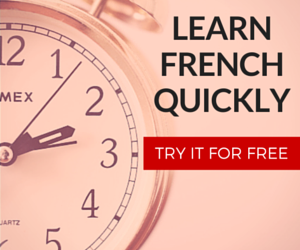 We know that listening to French music everyday is a great way to improve your French. Here’s a list of the top most recent French songs from the end of 2017 and throughout 2018. The songs are in no particular order. If you like French music then you can also check our list of top 100 French songs you need to hear at least once or our Top 2017 French song list. This French song by Claudi Capéo has a rather catchy chorus and a heavy Spanish-sounding influence. Although there’s enough accordion added in to give it that classic French flair. Even though Angèle is a Belgian singer, Tout Oublier, became popular throughout France. I covered Angèle’s recent Street Style video here on FrenchCrazy. If you enjoyed this song, you can find the rest of her album, known as “Brol.” There are other good songs there such as Jalousie and Flou (both of which are also from 2018). I already added both of them to my itunes playlist. BigFlo and Oli are hit or miss for many French people. Some enjoyed their style at first however the common critique is that they’ve become too “philosophical” with their lyrics. Tu comprendras plus tard = you’ll understand later. Mais on est plus tard et je comprends pas = but we’re older now and I still don’t understand. Check out our French-to-English lyric translation for the full song. Fallait Pas is one of the first singles from Marwa Loud. The video was released at the end of 2017 and became a popular French song during 2018. The song is a sort of fusion between hip hop and African music. The beat is more upbeat than others listed here. The youtube video has surpassed a hundred million views which is good in terms of French music. Aöme is a group of three Frenchies. This song is one of my personal favorites, Mille Couronnes almost reminds me of something Lorde would release. Lorde fans, please don’t comment below in anger. The song is pretty easy to single along with if you have the lyrics. It also has a nice synth breakdown for the chorus. Calogero has been featured before on FrenchCrazy French music lists. Even though this was released at the end of 2017, the song became popular through 2018. P.S. the French way to say 1987 is “Mille neuf cent quatre-vingt sept.” If you need help reviewing French numbers then check this out. There’s apparently a trend here. All of the songs on this list are coming out in October of 2018. This French song by Dadju already topped 100 million views within a couple months and continues to rise. I should feel ashamed for putting such a good song so low on such a list. But alas, here we are. The lines, “Tout le temps, tout le temps, si le temps passe je t’aime autant” are repeated over and over until a wonderful Stromae-esque synthesizer breakdown blasts. Orelsan is a popular French rapper and has some of his songs translated here on FrenchCrazy. Paradis is a bit less rap-based. The video is definitely more weird than the music itself, which has a nice funky beat. I find this one to be rather catchy after several listens. More songs will be added to the list with time. You can also suggest any French songs from 2018 that we may have missed in the comment section below! 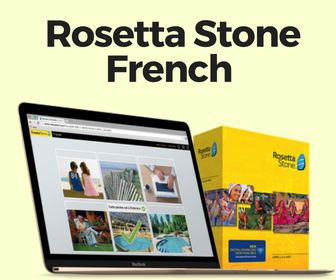 Feel free to check out our 2017 French Music list or Frantastique to help yourself learn French online.